CoPilot has had paid versions of its navigation applications available on both Apple’s iOS platform and Google’s Android platform for a while now, and the company behind the apps, ALK Technolgies has just announced a free version of the app for both platforms. Then app is available to download for free, and with that you get free maps to one country, you can purchase additional maps and if you want to use turn by turn navigation this will cost you an additional fee, with the voice guided navigation retailing for £19.99 and if you want to add in live traffic information this will cost you £9.99. CoPilot GPS makes it easy to find places you need and provides the best route to the door. Search the pre-installed points of interest for nearby restaurants, hotels and shops. Find local businesses and attractions using Bing and Wikipedia. 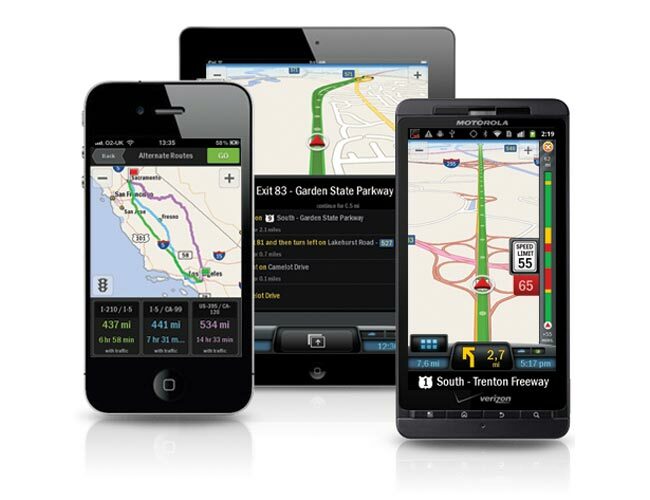 There’s no need to rely on a mobile connection – detailed street maps of your chosen country or region are stored on your smartphone or tablet, so CoPilot GPS still works even when you are offline. Once you’ve selected your destination, CoPilot GPS calculates a choice of routes with turn directions, distance and travel time for each. Advanced itinerary planning features usually reserved for premium paid navigation apps mean that you can enter up to 50 stops and CoPilot will find the best way to go. Both of these apps are now available from the Google Play store and Apple’s iOS app store, you can find out more details over at CoPilot.